Gerade ist eine Totale Oberkiefer-Prothese mit einer gegossenen Gold-Basis bei uns im Labor angekommen. Vermutlich hat die Patientin eine allergische Reaktion auf das PMMA gehabt. 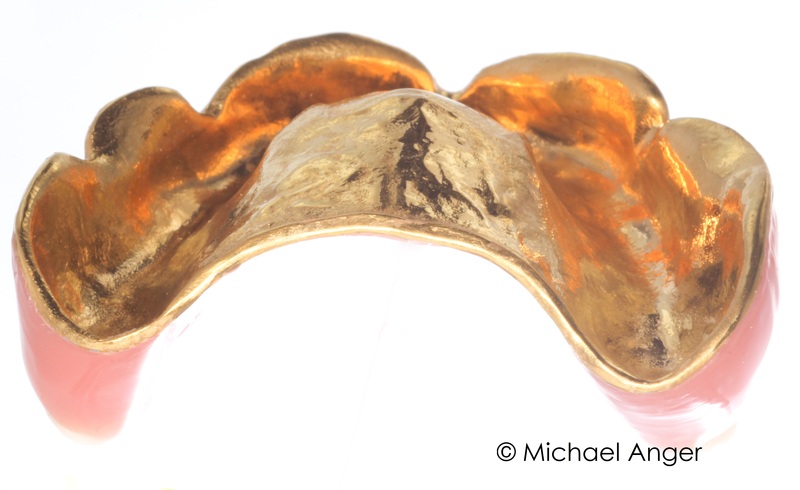 Just in this moment a upper denture with a casted gold base has arrived in our laboratory. 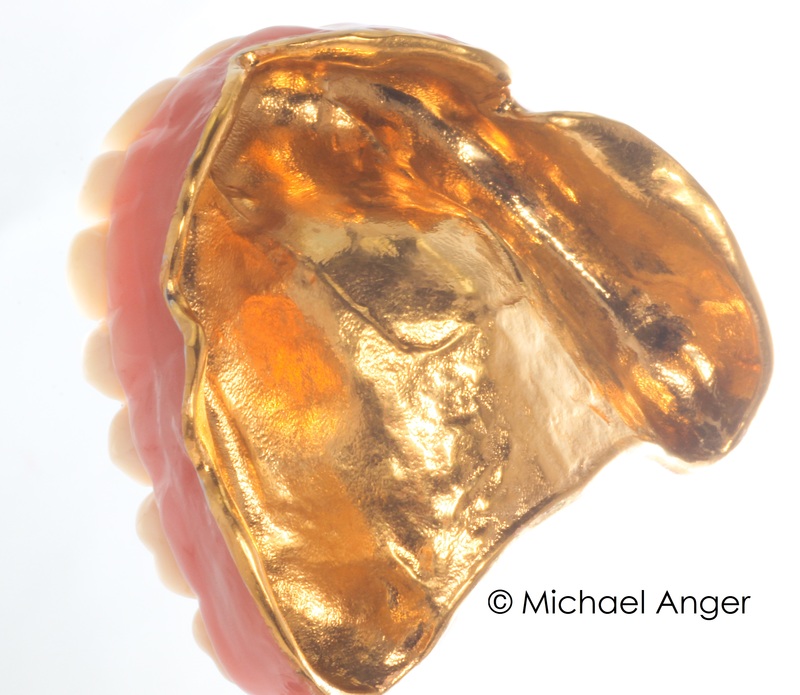 Presumably, the patient has had an allergic reaction to the PMMA. Ich glaube nicht, dass ich eine solche Prothese schon einmal in der Realität gesehen habe und wollte Ihnen diese Bilder nicht vorenthalten. 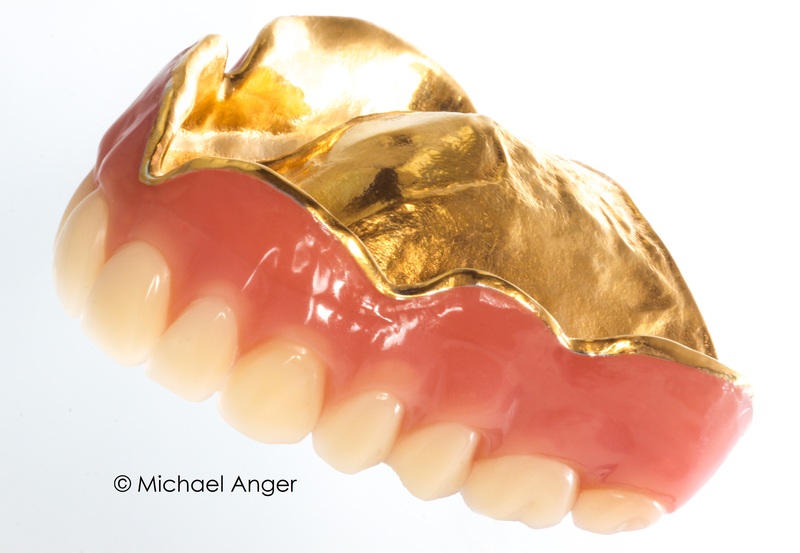 I do not think I have ever seen such a prosthesis in reality and wanted to share these images with you .